In the newly re-opened Norton Priory Museum a small group of museum professional from numerous organisations across the North West gathered to listen to case studies from organisations that have successfully established and developed partnerships with universities to aid their research and develop new income streams. Frank Hargrave, Director of Norton Priory, welcomed everyone and started the day’s presentations with a case study outlining some of the projects he and his team had worked on with PhD students, providing some helpful tips to help those attending understand how to develop similar projects. Norton Priory has been successfully developing relationships with various universities for some time, an initiative they started when they realised how much research was happening in universities all over the UK that could so easily be applied to the collections of museums. Frank explained how it’s usually easy to find the right academic to work on your project as their profiles and research interests are always featured on their university’s website making them easy to contact. Before you contact anyone, it’s good to remember what you as a museum can offer to a university or one of their students and collaborative PhDs are often a good place to start. Universities are always looking for projects for MA students to move onto PhDs but you can also provide hands-on experience and career advice for students that their lecturers can’t. Once you’ve sourced an academic partner, new funding sources will be opened up to the project which are specific to academic research, including Arts and Humanities Research Council funding which isn’t usually open to museums but you should remember that you will also open up funding avenues for the university that they are unable to apply to. When working with universities they can often throw in costs to placements which are easily covered by academic funders but not through museum funds. Listen to what your academic partner wants but be wary about universities looking to place their students with you so they don’t have to look after them. Before approaching a university or academic with a project proposal it’s good to remember that your collections contain things numerous items of interest to academics. Lecturers are always looking for PhD opportunities and post-doc research projects and with increasing pressure being put on university departments to demonstrate public impact and engagement, something museums do very well, it makes a positive reaction to a well researched proposal highly likely. Of course partnerships don’t always work out, in which case move on as there are plenty of other universities you can work with. Tom Fildes, Norton Priory’s Business Development Director, then went on to explain in detail one of the current projects they are working on with the University of Liverpool’s Engineering Department to develop a portable carbon dating device. The development of such a device will of course redevelop museum collections by being able to quickly and accurately date artefacts on site at any museum but it will also help to build Norton Priory’s credibility and eventually see revenue from the sale of the device. To help maintain a good working relationship, Tom explained how he has needed to maintain a level of flexibility throughout the partnership while keeping an open mind about where the project will go. 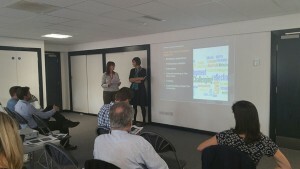 Finally, Meg McHugh and Jan Hicks from the Museum of Science and Industry (MoSI) in Manchester focused their case study on REALab, a pilot project which was conducted in partnership with several institutions and provided university students with experience and networking opportunities. The outcome for MoSI was a high quality report without having to bring in a paid consultant and instead bringing in a team of PhD researchers. The other benefits of the project included getting a different perspective and gaining university contacts which broadened their network. Having only recently become part of the Science Museum Group MoSI has added research to its objectives and with limited internal resources to do the research they want to they have instead found ways to bring in outside researchers from universities. MoSI is using its new university network to develop projects examining areas they want to explore further and continuing to think more actively about how university students can become part of the museums work. Working under the REALab project was MoSI’s first experience of working in partnership with a university and their students. During the process they learnt a lot about how they could better develop future partnerships and have since changed the way they work creating longer lead in times for projects to allow time for academic research to be undertaken. They now plan to take forward and develop further and plan to develop a research strategy, build up a roster of PhD students, actively blog about research, build the museums research profile and take the time to explain to the universities what they have in their collections. 2018 will mark the centenary of the Representation of the People Act, which saw voting rights granted to women for the first time. 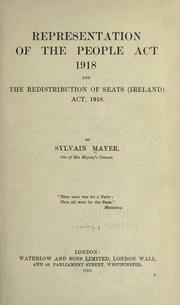 The 1918 act enfranchised women over 30 who met certain property ownership requirements, and extended the vote to almost all men over the age of 21. It laid the path for the introduction of universal suffrage ten years later, which saw women win equal voting rights to men. After a lot of interest was expressed around the idea of a network which would provide opportunities for organisations planning to celebrate this anniversary to share information and discuss the possibilities of joint promotion on external and public-facing websites and platforms, the Museums Association’s Director Sharon Harper took the decision to create the 2018 Museums Network bringing together museums with plans to commemorate the anniversaries of several gender equality milestones in 2018. 2018 will also mark the 50th anniversary of the women’s strike at Ford Dagenham, which led to the eventual introduction of the Equal Pay Act in 1970, and the 130th anniversary of the matchwomen’s strike, which saw women take collective action against hazardous working conditions and poor pay. If your museum has plans to celebrate these anniversaries or you are interested in finding out more about joining the network, please contact Sharon Harper on the details below. A number of museums have already started planning events for 2018, including the East End Women’s Museum in London, which is in the planning stages and will open to coincide with the anniversaries in 2018, the People’s History Museum in Manchester, and St Fagan’s Museum of National History in Wales. Sharon Harper, Director, Museums Association: sharon@museumsassociation.org. Following the consultation undertaken earlier this year which engaged with over 300 volunteers from museums, galleries and heritage organsiations across the North West, the NWFed’s training project for volunteers ‘SoS (Support our Skills) Volunteer Development Programme’ will begin this November. The NWFed and MDNW are pleased to be working with consultant Debbie Walker who will now take forward the programme’s development as it enters its pilot phase, developing a bespoke programme with a small group of invited participants. The Programme funded by Museum Development North West will offer up to 10 places for volunteers who have been referred and supported by the museum’s they volunteer for. The programme will be free to attend and will include travel expenses to all training sessions. Most sessions will take place in venues in Preston or Manchester to make access and logistics as easy as possible. This initial phase is aimed at volunteers who are keen to develop/update their knowledge and skills of the museum profession, either to pursue a career in museums or develop their role within the organisation they are volunteering. Please note this initial pilot programme is not available to volunteers at National Museums, National Partner Museums or Museum Studies students. There will be 6 main sessions which will take place at Manchester and Preston venues. It will be begin with a 2 day introductory session on Friday 11 and Monday 14 November and then approximately one session per month. Programme participants and the venues they volunteer for will also sign up to deliver a half-day themed session at their Museum. This will hopefully allow the group to share ideas, see a number of different venues and importantly get to know each other and develop a lasting relationship. How to apply – If you have a volunteer(s) you would like to refer on the programme, please contact Debbie Walker using the contact details listed below. Debbie Walker: Email – dwalker14@btinternet.com , Telephone – 0784 600 3638.